Could Harley-Davidson’s New LiveWire Lead to Rise in Electric Drag Racing? But then again who ever thought Harley-Davidson, an iconic motorcycle manufacturer for the past 116 years known for its powerful, gasoline-fueled rumble, would be putting out an electric motorcycle? If this new technology is successful we could be at the start of a new era for the lagging motorcycle industry. This month Harley-Davidson revealed two new concept electric two-wheelers and announced pricing and pre-order availability for the LiveWire, its first electric production motorcycle. The 2020 LiveWire, priced just under $30,000 is now available for US dealer pre-order. The rise of electric motorcycles at the drag strip could be closer than we think. That’s not to say we’ll see hundreds overnight, but eight-bike fields, or more, in the next few years are a very real possibility. Imagine the possibilities. For bracket racers perhaps cool down time between rounds would no longer be an issue. Promotors could hot lap a race. Sound curfews that restrict racing at many tracks would no longer be an issue. For parts manufacturers it could open up an entirely new market. Throughout its history, as historian Bret Kepner pointed out to Cycledrag.com, drag racing has always returned to its roots of two production based vehicles going head-to-head to see who is quicker. It’s a correction that usually happens every ten years or less in the sport. If electric dragbike racing sounds unfathomable, keep in mind 19-time Top Fuel Motorcycle champion Larry “Spiderman” McBride owns the record for the quickest and fastest electric vehicle, four-wheels included, with his astonishing blast of 6.94 at 208 mph on the innovative Lawless dragbike. The popular machine was featured on an episode of American Chopper and was well received by the Orange County Chopper crew. McBride has fond memories of his time on the bike. Fans who saw the bike in action will recall how strange it was to hear McBride and his brother communicate on the starting line, moments before a pass, without the use of an electronic headset. That’s how quiet this unique motorcycle was. One could hear the tire grip the track as McBride accelerated. It was certainly a far cry from the deafening sound of a Top Fuel Motorcycle. However the nearly noiseless and mute motor was quite deceiving. The power of the battery-operated machine was staggering. The motor McBride used on the Lawless motorcycle is now in use on legend “Big Daddy” Don Garlits’ electric dragster. Garlits is after a 200 mph pass and so is former Nitro Harley racer and powerboat racer Steve Huff, who is hoping to setup a match race with Garlits in the near future. Huff showed Cycledrag.com his amazing electric operation at the PRI show. Jeff Disinger of New York has also been campaigning electric dragbikes for the past several years. Disinger entered one into a Street Outlaw event at Maple Grove this past Fall, hoping to attract some TV attention. How long before LiveWire owners want to see what this new machine will do in the eighth or quarter mile? New fads have a way of quickly finding their way to the racetracks. And sometimes fads become popular enough to stick. The biggest detriment for dragbike racing could be the LiveWire’s $30,000 price tag. A high price tag is what has prevented the motorcycle drag racing world from embracing the new supercharged Kawasaki H2 and H2-R. Dragbike racers have made it clear they like their quarter mile factory toys priced around $10,000. Some traditionalists have accused Harley of moving too far away from it’s core base and being out of touch with the consumer. Harley says it’s simply changing with the times. As evidenced by the slow introduction of electric cars, America has been reluctant to embrace the new technology for a multitude of reasons, such as vehicle cost and tradition. Will motorcycle riders crave the new technology quicker than their four-wheel counterparts? 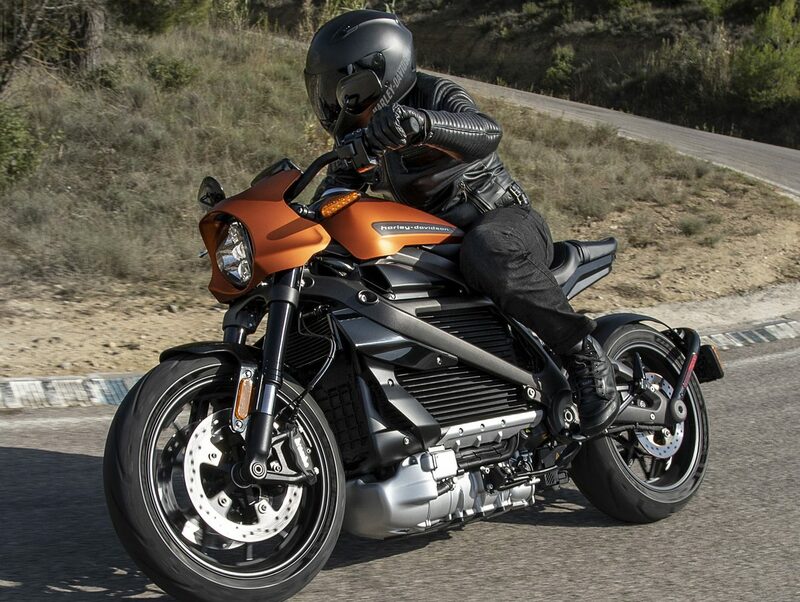 What are your thoughts on the new Harley Davidson LiveWire? Will it be successful? And will we see more electric drag racing in years to come? The LiveWire very well could be the spark that gets this trend going. Amazing acceleration: from 0 to 60 mph in under 3.5 seconds. The instant torque provided by the H-D Revelation™ electric powertrain can produce 100 percent of its rated torque the instant the throttle is twisted, and 100 percent of that torque is always available. Twist-and-go ease of use: Electric power requires no clutch and no gear shifting, greatly simplifying operation for new riders. All riders will appreciate the braking effect of the power regeneration mode as it adds charge to the battery, especially in stop-and-go urban traffic. Motorcycle status: Information available through H-D Connect includes battery charge status and available range from any location where a sufficient cellular signal is available. This allows the rider to remotely check the charge status including charge level and time to completion. Riders will be able to locate a charging station with ease thanks to an integrated location finder built into the H-D App.H-D™ Connect Service: The LiveWire motorcycle is equipped with H-D™ Connect, which pairs motorcycle riders with their bikes through an LTE-enabled Telematics Control Unit coupled with connectivity and cloud services using the latest version of the Harley-Davidson™ App. This technology makes the LiveWire motorcycle the first North American mass-market cellular-connected electric motorcycle. With H-D Connect, data is collected and transferred to the app to provide information to the rider’s smartphone about:Tamper alerts and vehicle location: H-D Connect indicates the location of the parked LiveWire motorcycle and alerts can be sent to the rider’s smartphone if the bike is tampered with or moved. GPS-enabled stolen-vehicle tracking provides peace of mind that the motorcycle’s location can be tracked. *Service reminders and notifications: Reminders about upcoming vehicle service requirements, automated service reminders and other vehicle care notifications. Performance and range optimized for the urban street-rider: Able to travel an estimated 110 miles of urban roads on a single charge. Handling and control: The LiveWire motorcycle chassis is designed to deliver agile handling for confident control on urban streets and a thrilling ride on curving backroads. The H-D Revelation™ powertrain sits low in the motorcycle to lower the center of gravity and help the motorcycle handle well at all speeds and make it easier to balance when stopped. The motorcycle also features advanced technology including standard cornering-enhanced Anti-lock Braking System and Traction Control. The systems are fully electronic and utilize the latest inertial measurement unit and ABS sensor technology. Distinctive Harley-Davidson sound, minimal vibration: The H-D Revelation electric powertrain produces minimal vibration, heat, and noise, all of which enhance rider comfort. The LiveWire model is designed to produce a new signature Harley-Davidson sound as it accelerates and gains speed. This new futuristic sound represents the smooth, electric power of the LiveWire motorcycle.